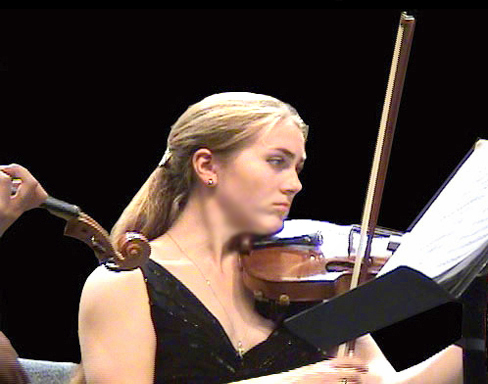 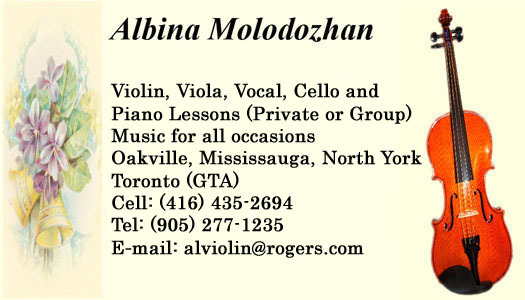 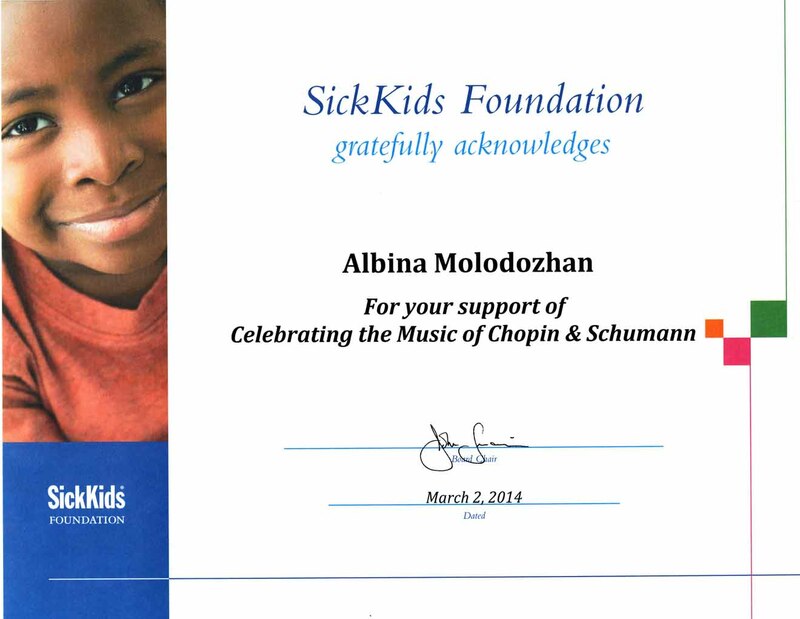 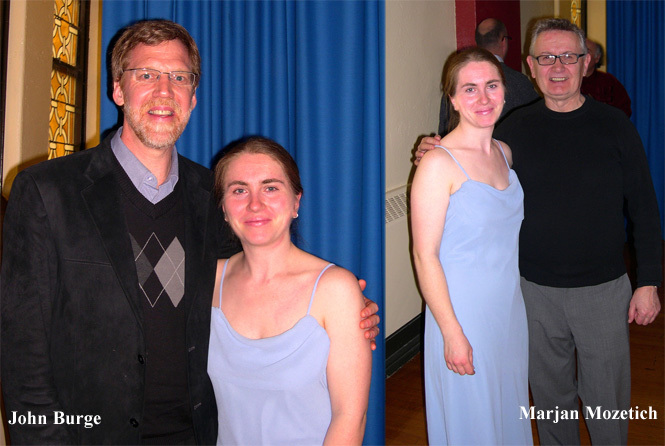 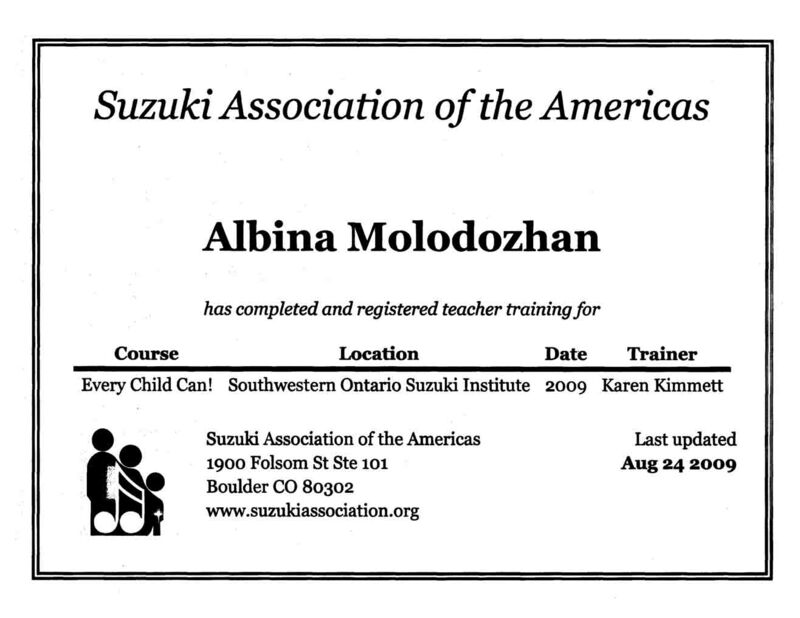 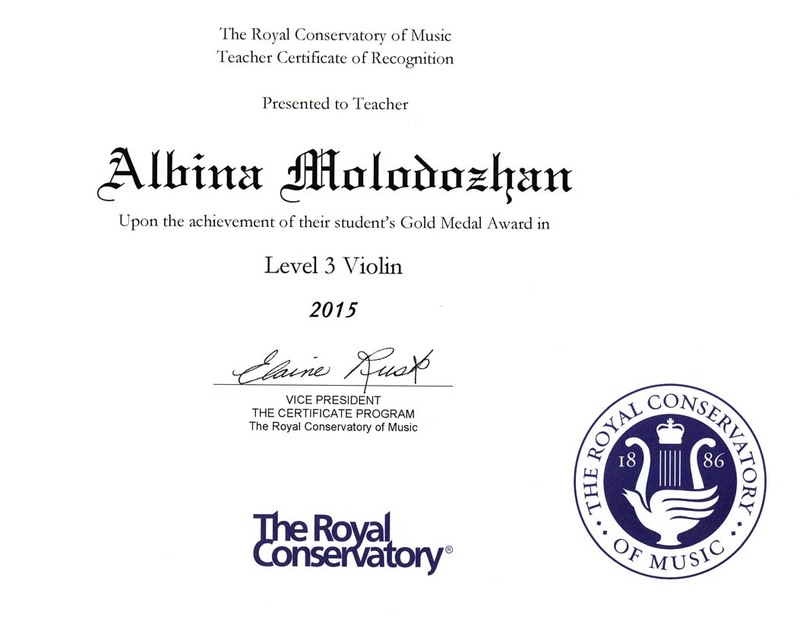 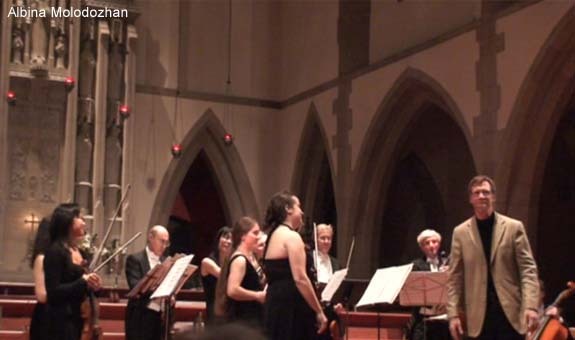 Albina Molodozhan is one of the core musician with Sinfonia Toronto that was commissioned and recorded CD featuring John Burge's “Flanders Fields Reflections”, which has won the 2009 JUNO Award for “Classical Composition of the Year”. 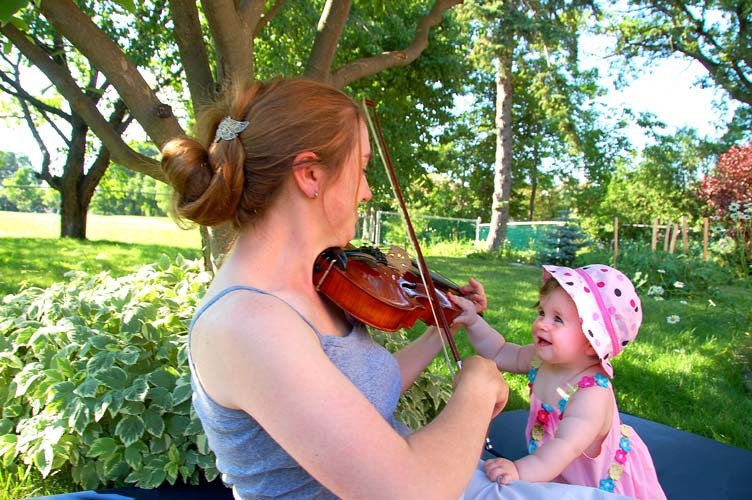 Albina is teaching her daughter Christine the art of Violin at age of six months. 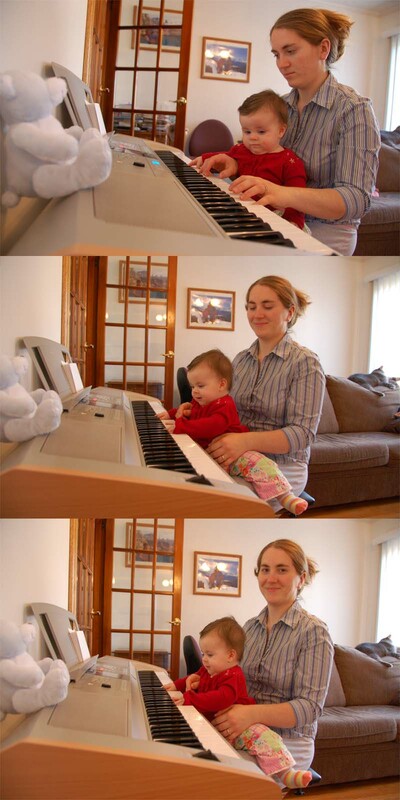 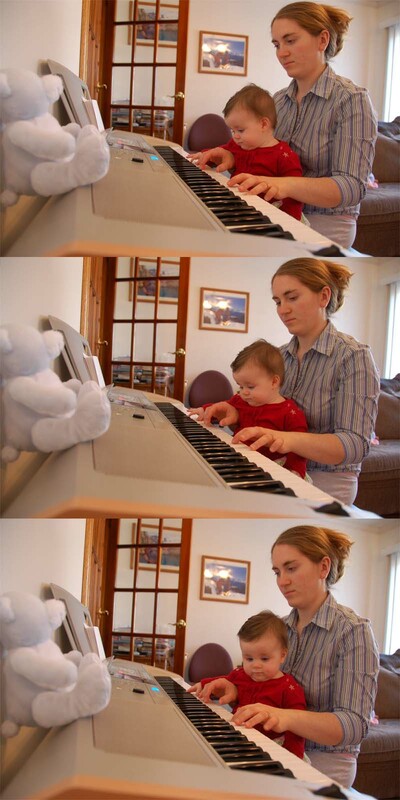 Christine is learning to play the piano at age of seven months. 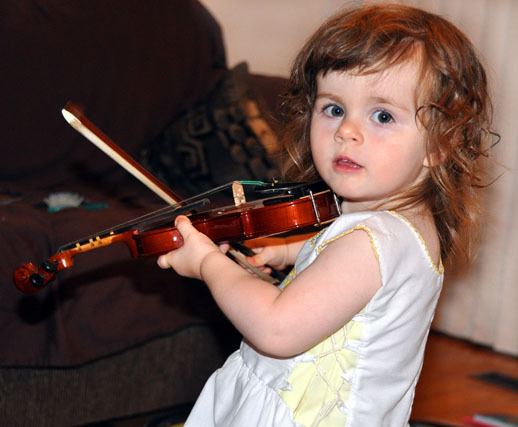 She is interested in the Viola at age eleven months. 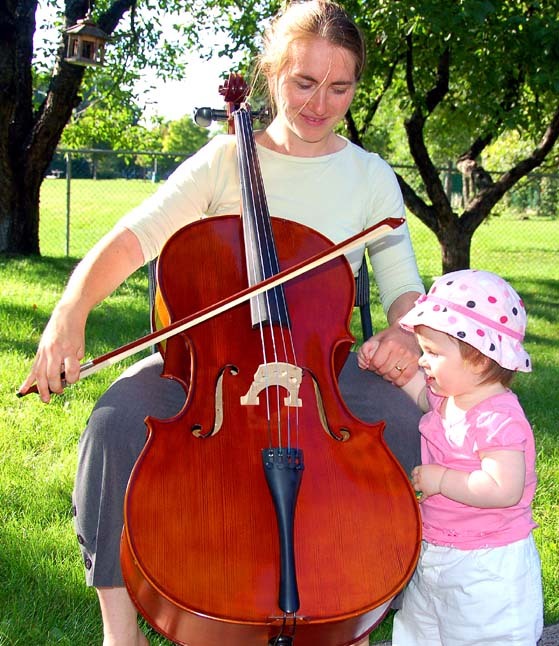 She is curious in the Cello at the age of one year. 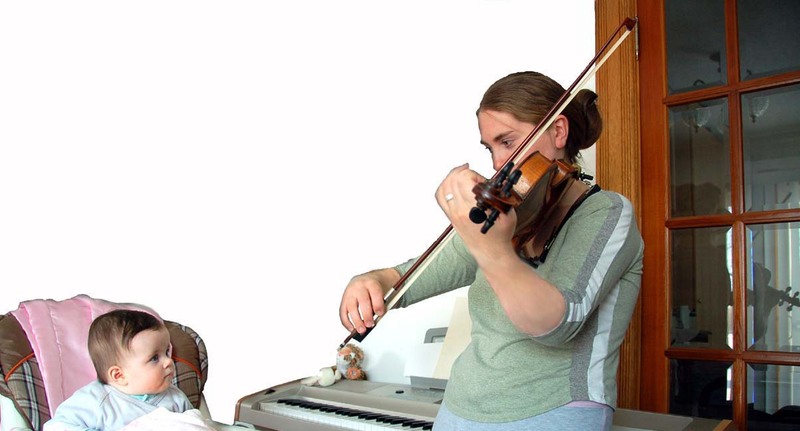 Christine is practicing with her violin at age of twenty-five months.